After the US began 'spreading democracy' there 16 years ago, Afghanistan has become more dangerous, more corrupt, and deadlier than ever. What Bush did not say was the fact that the War in Afghanistan would become the longest war in United States history. Thousands of American lives and billions of taxpayer dollars would be wasted at the expense of the U.S. war machine, and the “War on Terrorism” would only create more terrorism as a result. 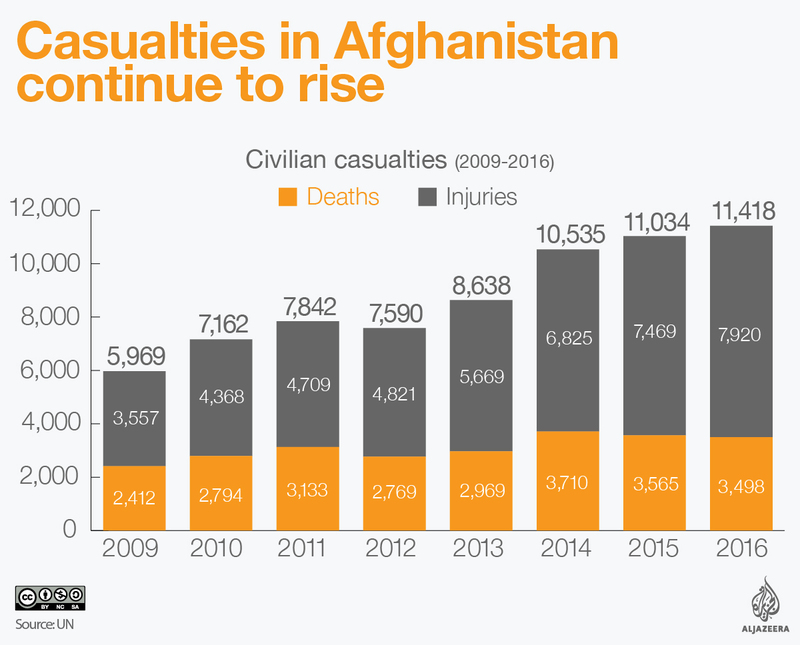 Over 31,000 civilian deaths have been documented in Afghanistan following the U.S. invasion. It should be noted that over the last few years, civilian deaths have substantially increased—which serves as a reminder that the situation is only getting worse. A report from the UNAMA noted that in 2017, the death rate for children has increased by 9 percent over the previous year, and the death rate for women has increased by 23 percent. The report also claimed that an increase in airstrikes has led to a 43 percent increase in causalities. Before the United States invaded Afghanistan, the production of opium poppies was significantly low, thanks to the Taliban. Not only did the presence of the U.S. military lead to a rise in opium production—because U.S. Marines were literally guarding fields of poppy plants—it led to a drastic increase that has done wonders for the illegal drug trade. 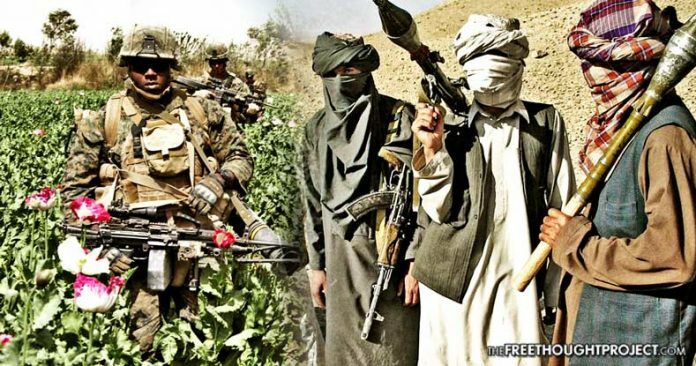 After 16 years of war and a price tag of over $1 Trillion, the United States has not only helped Afghanistan to become the largest producer of opium in world, it has ensured that the war-ravaged country produces around 90 percent of the world’s opium supply. When former President Obama ran for office in the 2008 election, he campaigned on the promise of ending the Afghanistan War—which resonated with a number of Americans who were hopeful that a fresh face in the oval office would bring about the “change” needed to finally end the war. The longest War in United States history turns 16 years old today, and in just two years, brand new military recruits will have the opportunity to fight in a war that has been ongoing for as long as they have been alive. While there are many Americans who support the concept of military intervention—including in countries that have done nothing to the U.S.—even they should be asking the question of why the United States continues to fight a war that has only created an increase in terrorism, innocent civilian deaths and illegal drug production.